Themistocles Sofoules is one of the most eminent personalities of Samos, during the last twelve-year period of the principality. He studied archaeology, did the first scientific excavations at Heraion and became a political leader and architect of the Samian revolution in 1912 and of the union of Samos with Greece. In September 1912, Samos revolted under his leadership and on 11 November 1912 the island's national assembly declared its union with "the free Greek kingdom". The union was formally established in March, 1913. For two years, until 1914, the Temporary Government of Samos ruled the island, having Themistocles Sofoules as president. 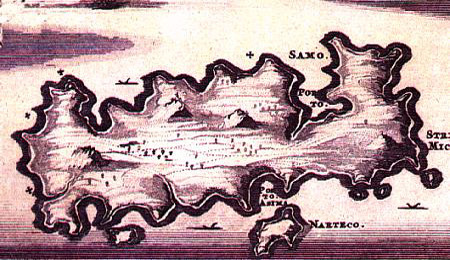 From that moment on, Samos became an integral part of the Greek state.